Gina Thorsen, President of Stormy Kromer, accepts the Coolest Thing Made in Michigan Award from Murray Sittsamer, President of The Luminous Group, at the MFG Excellence Awards event, November 8 2018. 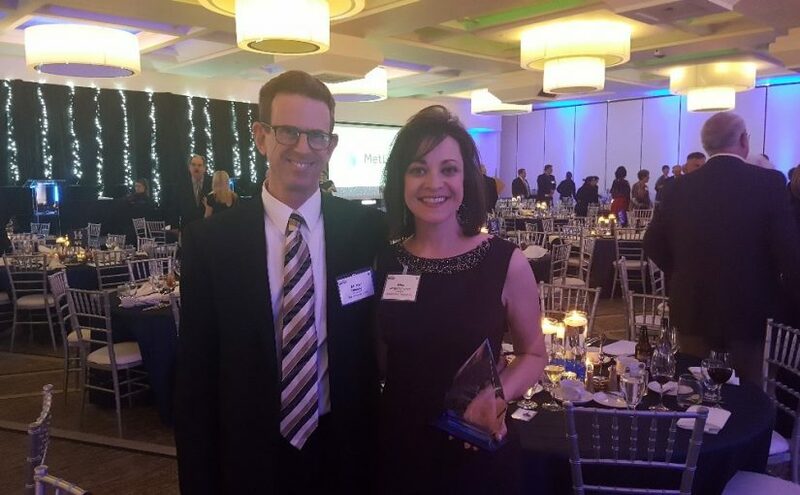 The Michigan Manufacturers Association held its MFG Excellence Awards dinner on November 8, in East Lansing, Michigan. 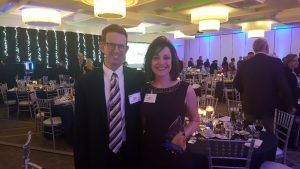 This annual gala is held to promote the inspiring stories of Michigan’s manufacturing industry, the thousands of unique manufacturing companies that operate in the state, and the 600,000 Michigan residents employed in the industry. The inaugural award recipient is the Original Stormy Kromer Cap. This beloved Michigan-made product is a 4-panel handmade cap that was created in 1903. Today the company continues to manufacture the cap in a variety of designs, employing Michiganders who make an expanded line-up of products, including the iconic cap. Manufacturing in Michigan is rich with innovation. The list of finalists and the award winner are all great examples of Michigan’s manufacturing talent and leadership. We believe that they represent the future of Michigan – competing with businesses on a global stage.